Grzelak, L.A, & Oosterlee, C.W. (2011). On the Heston model with stochastic interest rates. 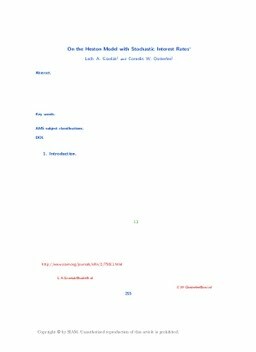 SIAM Journal on Financial Mathematics, 2, 255–286.